The latest in the “Bridge Generation” series profiles Matt Hall. 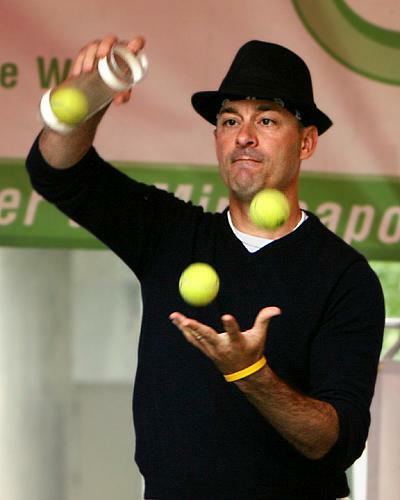 The “Juggle Sensei” has a host of IJA awards on his resume: 2003 Silver Medalist, Diabolo and Cigar Box prop champion, 2005 People’s Choice and 2011 Bobby May Award. Matt also holds a full time gig teaching Japanese in California. 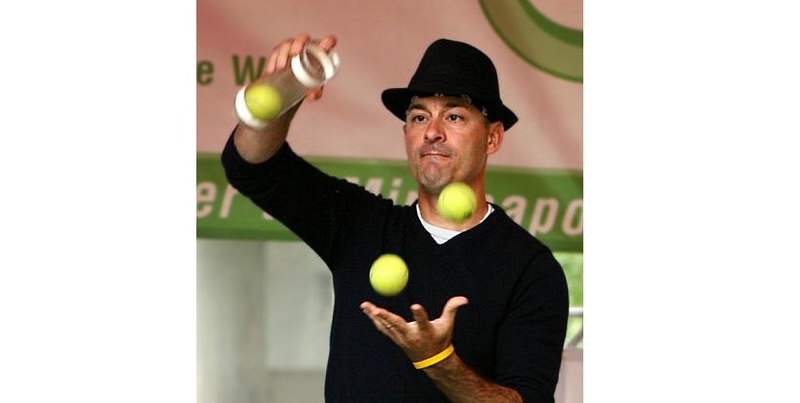 I had the good fortune to meet with him at the 2018 IJA Convention, and as he says his “best juggling’s still in front of him.” Fellow jugglers, here’s Matt Hall. I count two different instances. Teaching myself to juggle 3 balls after watching The Flying Karamazov Brothers on Showtime when I was 11 years old (I promptly quit that day after succeeding). My real start was when I purchased Charlie Dancey’s Encyclopaedia of Ball Juggling and three More Balls Than Most balls (both British products) at a Sharper Image-like store in Chicago in Fall of 1997. Since then, I’ve considered myself a juggler and it became my premier hobby. What’s the “Big” piece of advice they imparted to you? Be yourself, and be professional in all things. Preparation and precision are key. Do you have any jugglers you consider your proteges? How have you “brought them up” in the business/artform? Not particularly, but I usually tease and offer unsolicited advice to Michael Pearce, Taylor Glenn, and some of my present and former Paly Juggling Club students. Jugglers in our age demographic sort of bridge the gap between vaudeville and the internet explosion. What advice would you give to the jugglers today who can find nearly any technical trick from the internet? Know your fundamentals and your roots. Just because you found it on the internet yesterday doesn’t mean it (the routine, technique, or prop) is NEW. Similarly, just because you can’t find it on the Internet doesn’t mean it is valueless. It’s like skateboarders who learn 540 varials but can’t do a good boardslide. A juggler who’s does 7 ball siteswaps should also hopefully be able to do a decent 3 ball box or 441 or even 501. You’d be surprised how many I get out in Sensei Says by calling basic fundamental tricks. If you could “pull” a vaudeville juggler forward to today, who would it be? Bobby May. I’d love to see his reaction to what folks are doing with modern clubs, as well as siteswaps and everything else (DX balls, Russians, Silicones, etc..) that came after him.